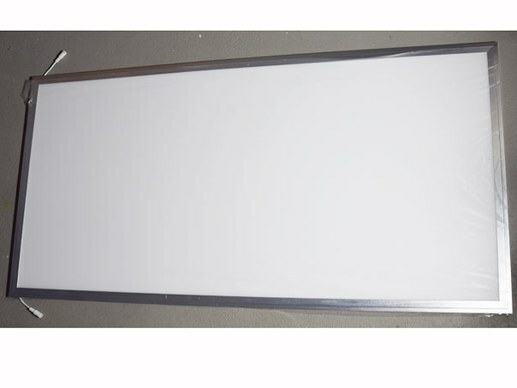 LED-Panel light 1200 x 600 with 5500LM luminous flux. Affordable LED-Panel, also available as dimmable version (1-10V). Available in 3 different color temperatures. 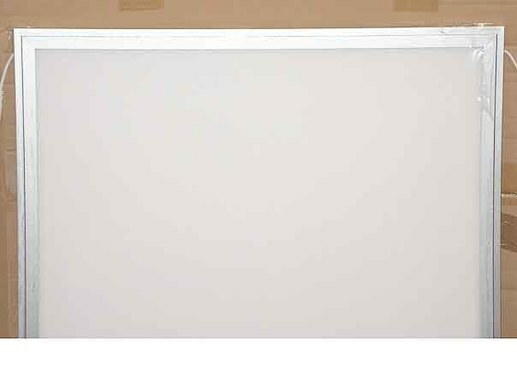 119.5 x 59.5 cm and super flat LED panel (9mm high exkl. LED driver). 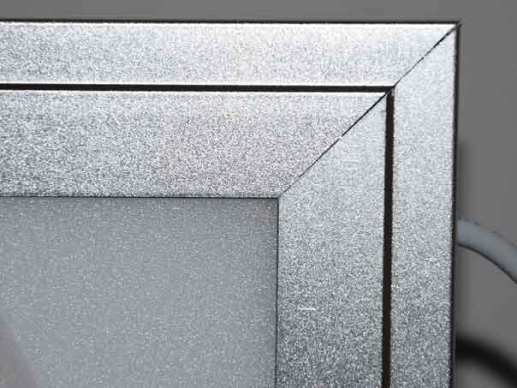 Embedded in an ultra-modern but discreet aluminum frame , we offer the panel in the standard color temperatures from 3000K (warm white) , 4000K (neutral white ) and 6000K ( daylight white ). A low power consumption of just 72 watts makes it an efficient light source and produces a luminous flux of 5500 lumens (depending on color temperature). Due to the large-scale and unobtrusive light distribution, the LED panels is preferably used in offices, office hallways , cafeterias or in the entrance area of companies. The evenly distributed light is also ideal for computer workspaces, as only little glare effects are produced. Included with this Ultraslim LED Panels is the LED panel , the external LED driver ( power supply) , mounting material to hang from the ceiling in the price. LED panel 120x60cm offer a number of advantages and design freedom in use. They provide bright, large-area light without special glare. One advantage of the LED panels are the very good energy efficiency figures due to the low power consumption. They produce a beautiful, even light that causes less glare effects due to surface radiation. This makes the LED panels very suitable for use at computer workstations. With a few LED ceiling lights 120x60cm large areas and rooms can be uniformly and evenly illuminated. You get a pleasant light with low power consumption. The LED Panels 120x60 do not produce flickering or flickering and do not emit unwanted UV light. It does not lead to the fading of products or goods. LED panels can be used in a wide variety of applications. LED panels m120x60cm are often used in offices, office corridors and corridors, canteens or in the entrance area of companies. 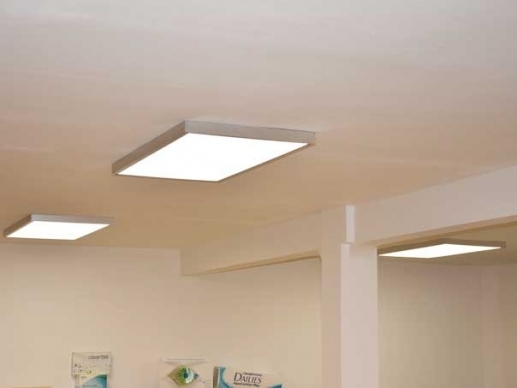 In shops or shop areas LED panels are often used as replacement for louvre luminaires as recessed ceiling luminaires. They are also frequently used in meeting rooms, waiting areas, canteens and recreation rooms. Special hygienic LED panels are available for the health sector and care, for example in hospitals, doctors' practices, kindergartens or in old people's and nursing homes, which can eliminate bacteria, viruses and unpleasant odours. 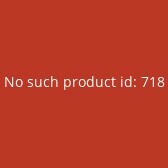 You will find them on the following page. LED panels can be used as a direct and energy-saving replacement for the standard 625 cassette ceilings (Odenwald ceilings) with 625 x 625mm standard dimensions in direct exchange. These are inserted as recessed luminaires into the louver cut-out of the ceiling louver luminaire. For example, it is possible to replace a 4x18 Watt louvre luminaire with a 29W-45 Watt LED panel. In addition, many LED panels can be dimmed and are also flexibly adjustable in combination with a daylight controller and light sensors. Due to their low weight, LED panels can be suspended from ceilings and suspended from wire ropes. 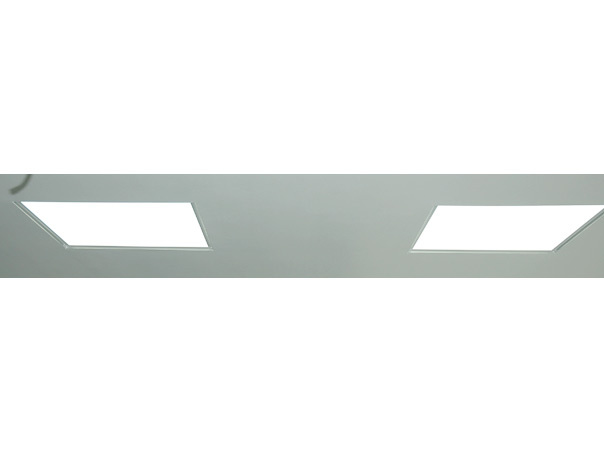 Alternatively, the panel can be attached to the ceiling with a mounting frame as a surface-mounted luminaire. With large LED panels with the size 120x30cm or 120x60cm, the suspension on 6 ropes (3 Y ropes) was recommended, because these long field LED panels tend to sag after a certain time. In over 90% of all cases the 120x60cm LED panels are mounted to the concrete ceiling with the help of ceiling mounting frames. The power supply disappears into the ceiling frame and results in a closed unit, with a rather low construction height of 5.5cm to 6cm. These can be fixed directly to the ceiling using a mounting frame. Another very attractive option is the installation of LED panels in plaster carond ceilings. Visually, the LED panels lie 120x60cm very flat on the ceiling with very little projection. Normally the cutout is 1cm smaller than the size of the LED panel. Here you should pay attention to 2-3 things. - The power supply is usually placed on the back of the LED panel. Due to the heat development of the power supply, there must be a certain distance between the power supply and eventeuller insulation materials or vapour barriers. Talk to your electrician about this. - Often you have built gypsum caton ceilings with girders, rafters or wooden strips. Check in advance whether you can cut open the ceiling at the desired position and insert the panel accordingly. 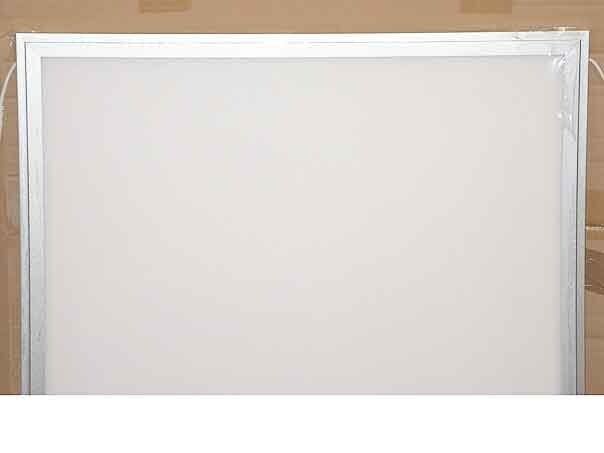 For the installation of LED panels 120x60cm in plasterboard ceilings we offer spring clips for direct mounting on the back or special LED panel mounting frames installation frames for plasterboard ceilings. On request, our LED panels 120x60cm can also be supplied with dimmable power supplies. The large surface creates a lot of light without glare. However, dimming may be useful in order to reduce the output somewhat in bright daylight. 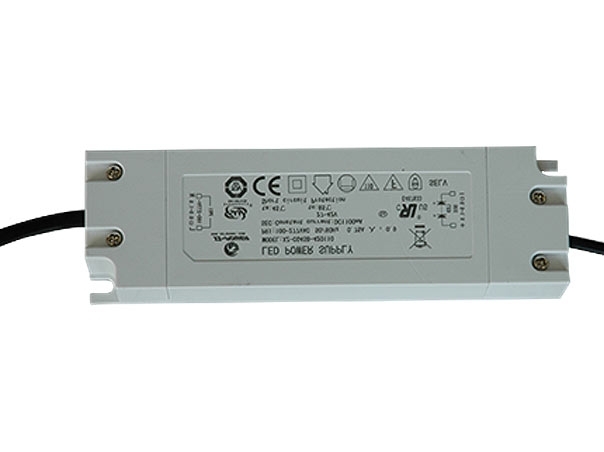 Dimmable power supplies can be supplied with 1-10Volt dimming (via separate dimming line) or alternatively dimming via phase cut/section dimming. The third option is dimming via radio or a radio/wall switch. 1. 1-10V dimming or a DALI bus system requires a thin control cable and a suitable 1-10V wall dimmer. Alternatively, dimming can also be carried out by radio via a radio wall dimmer or a remote control. Dimming is very clean and even. In existing buildings, however, there is usually no 5-core cable for a dimmer cable! If it is not possible to lay a DImm line without a large wall, dimming via phase control dimming or trailing-edge dimming may be appropriate. 2. dimming via phase control dimming / trailing-edge dimming. The dimmart comes very close to the classic dimming of incandescent lamps via the power line. We offer suitable power supplies for this purpose, which show very good dimming characteristics, no dimming jumps and low noise levels. 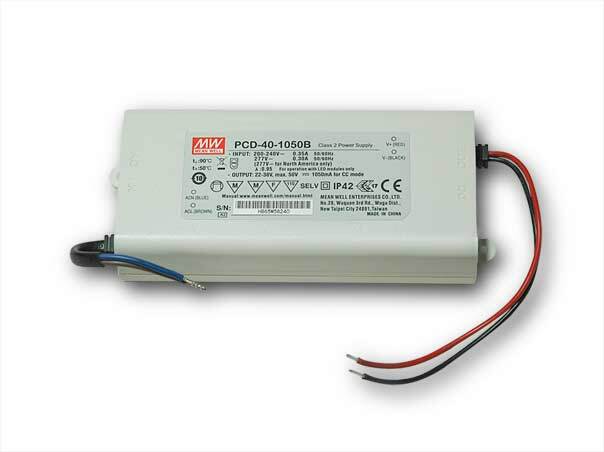 Especially these power supplies from Meanwell® are very reliable in continuous use and technically mature. The number of LED panels to be dimmed 120x60cm is limited. Usually only max. 4 to max. 5 pieces can be dimmed on a LED wall dimmer. LED panels are extremely energy-saving and have a very good luminous efficacy in lumens per watt. 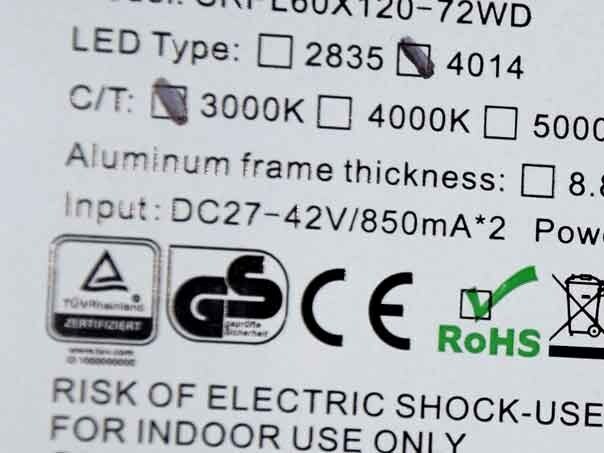 Durable: LED panels have a very long service life if quality manufacturers are selected who have know-how in heat management and high demands on the power supplies used. Depending on the manufacturer, LED panels can be used as recessed or surface-mounted luminaires. LED panels can be dimmed and used in conjunction with a lighting control system as an adjustable element for daylight utilisation. The low heat development between approx. 30 and 35 degrees allows a wide range of applications. They do not have to be cooled. Many application possibilities, simple installation, pleasant power saving.